We have been in the room of the goddess by going into this place. There are many of these all over Ireland, Scotland, England, and other countries. 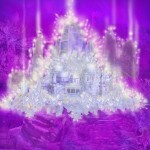 These are places of rebirth and initiation into the energies of the Divine Mother. We will also be clearing the stigma of imbalance and everything connected with this from actions of the Sisters of Charity inIreland in the past in taking the children of unmarried mothers and putting them into orphanages and eventually into the convent. Focus on the Divine Mother now and radiate this energy throughout the ethers and gridworks of this island to clear this stigma, the emotions, and all these energies. 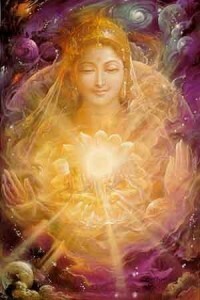 I call upon a full and open radiation of the Divine Mother, and as this place is being cleared and activated, it facilitates a grounding of this energy. Divine Mother, come in now. In accordance with everyone’s I AM Presence, Monad, and the will of the Mother, let’s ground this energy into Mother Earth and radiate it into the ethers and realities and clear, clear, clear. I call upon Mother Earth and Father Sky, the wind, water, ethers, the fire, and beings George (John’s crystal skull) is connected with. I ask him to call in Tonkasheila, their aspect of the sky and the ascended Hopi elders, in offering all present an activation or initiation into the multidimensional energies of the Hopi truths. Good afternoon to you. The being that speaks to you is known as White Deer, the spokesperson. I am not the leader. We have no leader. We are a collective consciousness of beings that have knowledge of the cosmic truth. We once lived upon the Earth Mother and we followed our path and, in the end, left this beautiful earth. We took our place in multidimensional reality to preserve the cosmic truths. When we lived upon the earth, we were seen as guardians of the earth and rainbow warriors. The rainbow warriors are the ones that have their multidimensional connections fully activated and grounded. Many of you in this New Paradigm MDT philosophy will know this rainbow bridge as the antakarana. You may ask what this activation or initiation is. It is an activation or initiation to assist you in remembering that you also know the cosmic truths, that the cosmic truth is you. It is not only inside of you. You are it. There is no need to search outside. So it is an activation of remembrance. If you think it’s relevant for you, and you are open to receive in accordance with the will of your I AM Presences and creator selves, we will now bring the energy to you. I call upon the wind to blow this energy through your cellular structure, to blow through your auras, lightbodies, and even your multidimensional bodies. Open yourself to the energy of the god and goddess of the wind. Feel the gentleness they bring you now. Just a gentle breeze blowing through you. Activate, activate, activate. Welcome, beings, to the tribe of the rainbow warriors. This tribe is universal, just like your Violet Tribe in the Shamballa family. It is nothing more or less than a family that understands cosmic truth and understands the divinity of all things manifest or unmanifest. Everywhere you place your feet on the body of Mother Earth, you will also pass this energy on. The cosmic truth in the form of the divinity of love will flow from you, and you will pass it to all beings, plants, animals, insects, birds, fish, trees, stones, all beings. Remember, please walk gently on the body of your Earth Mother. Treat her with the same respect as you treat your physical mother, for she respects you, nurtures you, feeds you, and loves you without question. Farewell, my friends. May you soar like eagles of the energy of love and, as you may know, eagles soar effortlessly. They don’t have to flap their wings or indulge in any work or activity. They spread their wings. The symbolism here is spread your hearts, open your hearts, and you will effortlessly soar.